HVAC repairs always seem to strike at the most inconvenient moments. It’s best that home and business owners take their time and use caution when selecting a reputable contractor or service provider in order to save money, time and frustration. Learn how to differentiate between exemplary and extortion. As you’re searching for a contractor, look for one who has been in business for a while, engages in ongoing staff training and has a good rating with the Better Business Bureau. 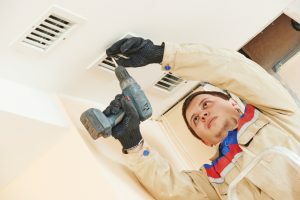 Reliable contractors are also either licensed or registered with the state or providence to provide HVAC services. While you’re gathering quote from local contractors, take note of how many of them perform diagnostic testing before offering you a quote. On a related note, it’s best that you not ask if contractors will perform a diagnostic test since they should do so on their own. A reputable contractor understands the importance of diagnostic testing and might even insist on it. Be sure any service provider you decide on has up-to-date certifications and licensing for your specific area. You should also opt for a service provider who has proper liability insurance according to your state requirements. Even if HVAC providers don’t have to have insurance in your state, it’s to their benefit and yours if they do anyway. Be sure you ask to see insurance verification. No matter how cold or hot your home or business might be, you’ll want to take your time finding the right contractor. 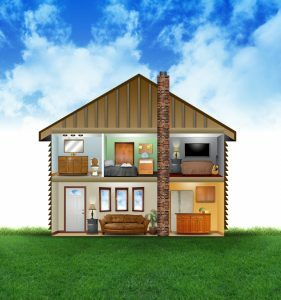 Choosing the wrong one can lead to bigger and more expensive HVAC problems. There’s also the fact that you can wind up paying for the same repair more than once if a poor contractor or service provider doesn’t fully or properly take care of your repair the first time. Rather than wait for an HVAC breakdown or emergency to strike, keep your unit in good condition with routine maintenance and inspections. You’ll be alerted of minor and inexpensive problems you can take care of right away before they dig deeper into your bank account. If you’re searching for a fast, reliable HVAC contractor with excellent prices and customer service, look no further than Allan E. Power Plumbing, Heating, and Cooling. Call us at (708) 352-1670 for services in the La Grange area.